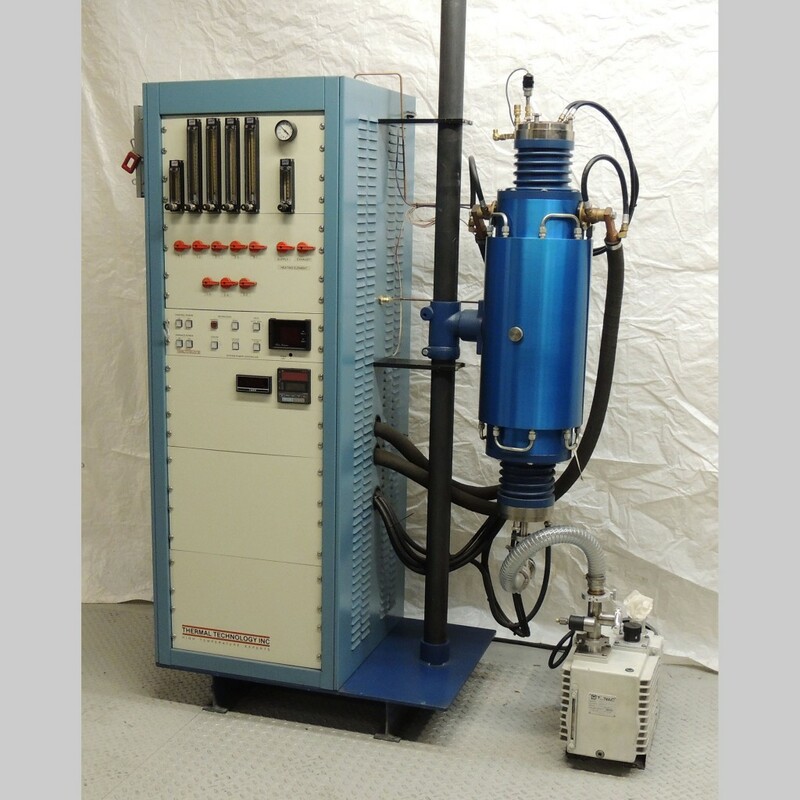 This is a totally enclosed, packaged, and assembled unit that is shipped as one piece (except for mechanical vacuum pump, which is detached from the unit in shipping), requiring only the water, gas, and power to be connected to the appropriate locations. This furnace can operate with or without the optional alumina tube. Manual valve operation with automatic temperature ramps and soaks. Yokogawa UP550 digital programmable temperature controller with 30 program patterns and 300 segments. Graphite hot zone and graphite heating element. Eurotherm 460 Thyristor SCR pack. Leybold D30 mechanical vacuum pump for rough vacuum operation. Includes the necessary motor starters, push-buttons, lights, and switches for vacuum operation. Digital vacuum gauge with a range of 1 milliTorr to atmosphere. We provide written operating procedures and manuals for all instrumentation and controls on the furnace. 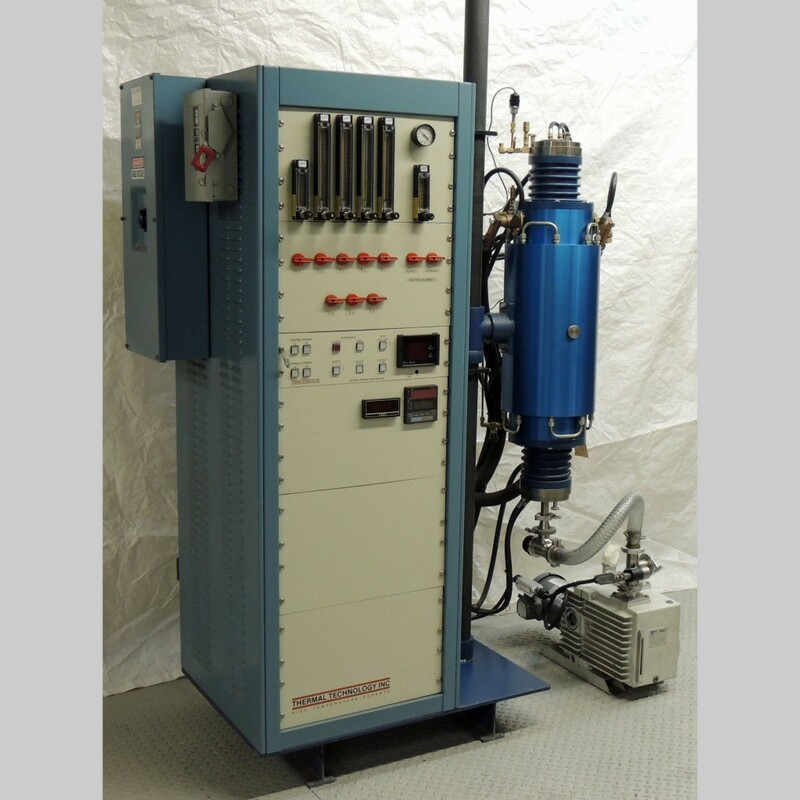 This unit is leak-tested with a helium mass spectrometer, with no detectable leak in the 10-9. Price includes one day of test fire and training at our plant in Terryville, Connecticut, USA. Alumina tube, approximately 3 ½” ID x 23-9/32” long (8.89cm x 60cm). Can be used up to 1800o Offers the flexibility of being able to use multiple gases inside the tube. Effectively separates the work inside the tube from the graphite elements and insulation pack, which require vacuum, nitrogen, argon, or helium. We can supply all necessary spare parts for this furnace.